The best way to have a phone in Cozumel is to buy a cell phone ($350 pesos is low price) that comes with 100 minutes. If you need more minutes, you can stop at any OXO Convenient Store or telcel store to get more minutes on yoyur phone. To call a local number, you just dial the seven digits. To call a cell phone, dial 044, then 987 and then the number. 987 is Cozumel's area code. Long distance telephone centers are everywhere. The rate is posted, and the operator will dial for you. Most of them have a small closet for privacy. Remember, Mexico has one of the highest long-distance service billings in the world, so try to avoid making phone calls. Cozumel has many internet cafés that offer internet access, good computers in air conditioned rooms, and  sometimes  good coffee. We recommend the full-service Internet Service Centers because you can get a lot of business done quickly and get back to your vacation fun. 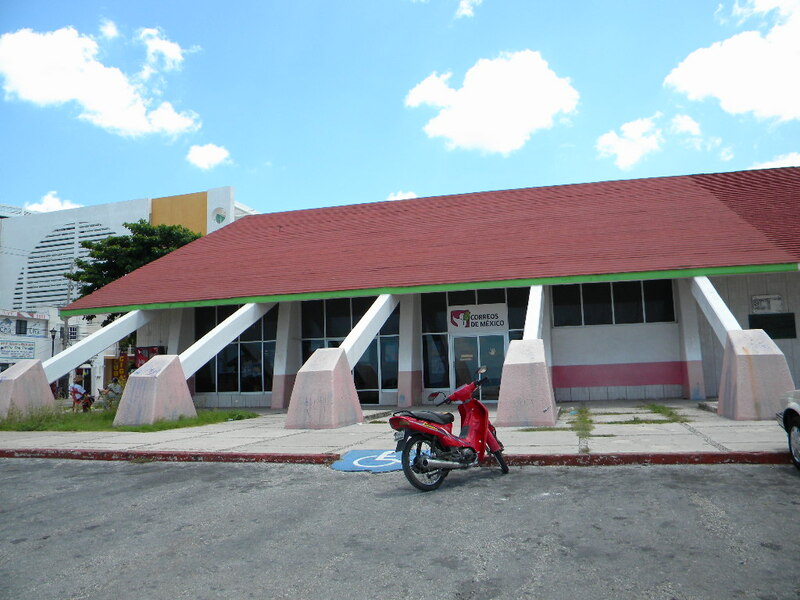 Located on Calle 7, and the beachfront road, Melgar Sur. They offer ordinary postal services: sending mail, certified mail, etc. The Mexican postal system is not as fast or acurate as the American postal system. Many homes don't have actual addressses. You'll hear stories from residences in Cozumel that they got Christmas cards months or even years later!!! It will be interesting for visitors to mail themselves a postcard, and see how long it takes. Many coffe shops and restaurants offer wireless internet service for those who have laptops. "Rock 'n Java" has an excellent breakfast selection, and they not only offer wireless, but they have a computer set up for guests' use. They also have a vonage phone, which is free for calls to the United States. Customers are welcome to use these when they stop in for a bite to eat, or just a drink. There are internet centers everywhere in town and in the hotels. Look for the word "Cyber" and you'll find an internet center. There are many telephone centers in town. They charge phone calls by the minute. The most convenient one is on Adolfo Rosado Salas and 10th. They have air conditioning and small cubicles that give you privacy. Ask them in advance how much the cost will be, and if there are any extra costs.